Official Fantasy Bundesliga Managers take note: bundesliga.com is on hand to provide likely line-ups as well as injury and suspension news ahead of Matchday 27. 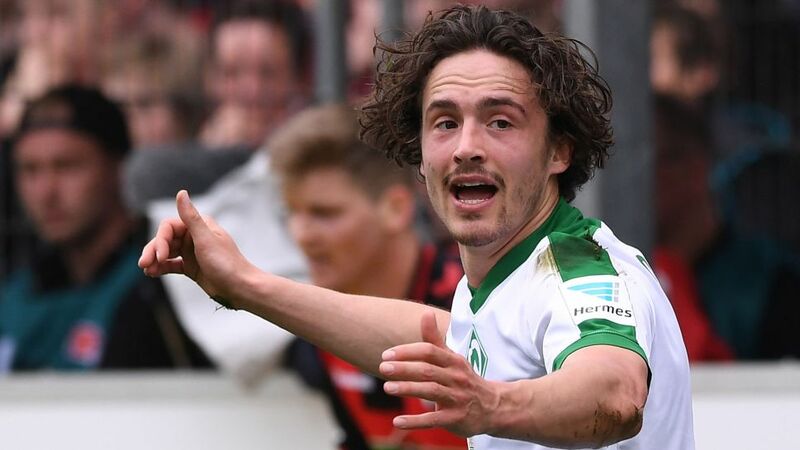 Wing back Robert Bauer went off in the 5-2 win at Freiburg on Saturday and Santiago Garcia, the player who replaced him, is likely to start in his absence on Tuesday. Centre back Lamine Sane missed the weekend game after pulling up in the warm-up and he will sit out Werder’s next two matches. Austrian midfielder Zlatko Junuzovic could earn a recall after missing the Freiburg game with flu but topscorer Serge Gnabry seems set to miss out again. A yellow card in stoppage time during the Revierderby - his 10th in 25 matches this season - means that Nabil Bentaleb is suspended for the trip to Bremen. While his place could go to Alessandro Schöpf or Max Meyer, the major worry is at left back. Spanish full-back Coke is a major doubt after being thrust into the starting line-up for his Schalke debut against Borussia Dortmund due to Sead Kolasinac’s absence. The former Sevilla player picked up a knock in his first game since suffering a cruciate ligament injury in the summer and Kolasinac, who has been complaining of an adductor problem, is rated doubtful for Tuesday as well. If they do not make it, Holger Badstuber could be required to complete a makeshift defence. Werder Bremen: Wiedwald - Valjkovic, Caldirola, Moisander – Delaney – Gebre Selassie, Grillitsch, Junuzovic, Garcia – Kruse, Bartels. Click here for a full match preview!